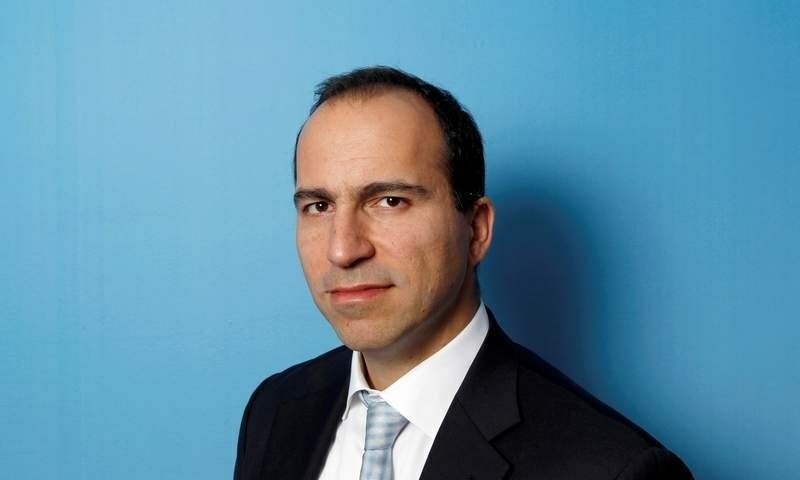 Expedia chief Dara Khosrowshahi has been chosen to replace ousted Travis Kalanick as the next CEO at Uber, The New York Times reported Sunday, as the ride-hailing giant looks to move past a rough patch. Khosrowshahi emerged as the leader among three finalists for the job during company board meetings over the weekend, the Times reported, citing two people familiar with the decision. Uber spokespeople were not immediately available for comment. Hewlett-Packard Enterprise chief Meg Whitman had been seen as the favorite, according to several media outlets, but the Times said the situation changed on Sunday in the 48-year-old Tehran-born Khosrowshahi’s favor. “I have decided not to pursue a leadership position at Uber,” Immelt said on Twitter, without explaining his reasons. “I have immense respect for the company & founders,” he added. The Wall Street Journal reported that Immelt had opted not to pursue the CEO post after “observing disorder and divisions among different factions of Uber’s board,” according to an unnamed source familiar with the matter. Other sources close to the search process said the 61-year-old Immelt — who left General Electric on August 1 after 16 years at the helm — did not have the votes to win and thus “saved face” by publicly bowing out, the newspaper said. Uber has been without a boss since June when Kalanick resigned, yielding to pressure from investors seeking to clean up a toxic corporate culture at the fast-growing company he created in 2009. The San Francisco-based firm has been roiled by disturbing reports of a cutthroat workplace culture, harassment, discrimination and questionable business tactics to thwart rivals. The pressure mounted earlier this month when early Uber investor Benchmark Capital filed suit against Kalanick, accusing him of fraud, breach of contract and of plotting to manipulate the board of directors to allow him to return as CEO. Kalanick fired back, claiming that Benchmark “began secretly planning an effort to oust him” and “executed its plan at the most shameful of times” following the death of his mother in a May accident. Uber has not only disrupted the local transport industry in dozens of countries. It’s also been investing in autonomous driving technology, and has provoked a lawsuit from the former Google car unit now called Waymo that accused Uber of stealing trade secrets.